For those located in the Northern Hemisphere, fall is upon us and winter will be here before we know it. Whether you embrace turning of the leaves and eagerly anticipate fresh powder or yearn to shed woolen layers and feel the warmth of the sun, Paola Fiocchi Van den Brande, owner of Passepartout Homes, has ideas for your fall and winter travel plans. With luxury properties on four continents, Paola’s options are seemingly limitless, but somehow she managed to choose her top five picks for fall and winter travel. Tucked in between Vietnam, Laos and Thailand, Cambodia is a Southeast Asian country known for its white-sand beaches, jungles and temples, most notably, Angkor, a UNESCO World Heritage site. Paola Says: The best time to visit Cambodia is between October and April, making fall/winter a terrific season for those seeking sun. 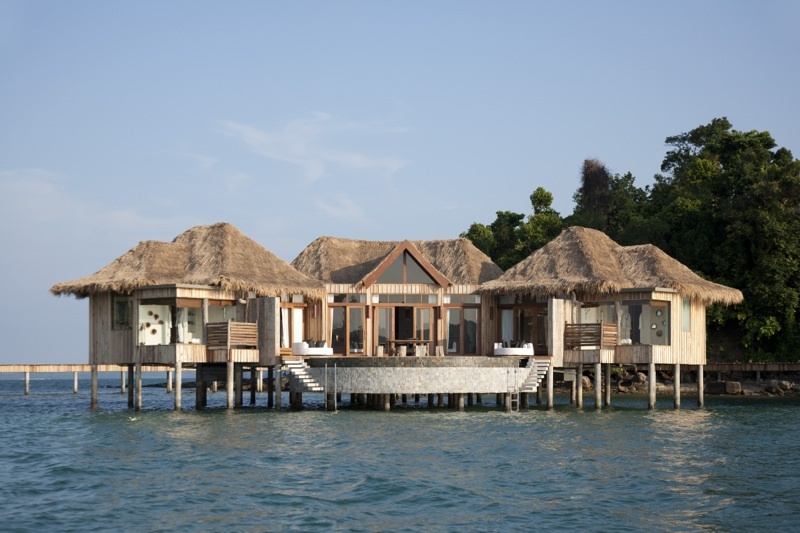 These are the driest months and ‘coolest’ with temperatures between 24 and 26 degrees C.
Paola Recommends: With 27 over-water villas offering ocean and jungle views, Song Saa private island is unique. Connected by a footbridge, the islands are surrounded by a private marine reserve filled with reefs and tropical marine life. One and two bedroom villas have private pools, terraces and offer modern conveniences. Activities such as kayaking, snorkeling and yoga are included. The heel of Italy’s boot is home to the Paglia region. With a long coastline, Apulia borders the Adriatic and Ionian Seas, Strait of Òtranto and Gulf of Taranto. It’s home to incredible Italian wines and food, lovely beaches and fewer tourists. Paola Says: Everyone in Europe is talking about Puglia as the next Tuscany. The region of Puglia has invested time and money recently in promoting itself and affluence has tripled. The recent #weareinpuglia campaign is attracting a vast number of visitors, thanks to the flight connection to Bari and Brindisi. Salento is a great destination in fall, especially during the school half terms. The sun is often still warm and during the day, temperatures can reach a healthy 25 degrees C. Beaches are empty and you can enjoy long stretches of sandy beaches, have a long walk or a picnic. As summer heat and crowds have gone, it is the ideal season to explore the region and its many hamlets, villages, artistic and cultures sites. It’s also a great time to sample the local cuisine, now that you don’t have to reserve a table. Paola Recommends: Located in an olive grove, ten minutes from the Mediterranean, Masseria La Raganella Celeste, offers six bedrooms, a separate guest house and an infinity pool, which serves as the focal point of the villa. This sophisticated and contemporary property also features traditional Italian craftsmanship. Infamous for its party scene, Ibiza is one of the Balearic Islands located in the Mediterranean, off the coast of Valencia in eastern Spain. Paola Says: Ibiza is away from the crowds and its parties are nice for those who love luxury, seclusion and privacy. Temperatures in fall can still be mild, crowds have long gone and you can enjoy the island without the madness. Paola Recommends: The 220 year-old villa known as Maraposa features four bedrooms and three baths in a contemporary setting. Also, a separate one-bedroom apartment is located behind the main house. The grounds include terraces, pool and Mediterranean gardens. Bulgaria’s Rhodope Mountains are located approximately 150 miles southeast of Sofia, the country’s capital. Paola Says: Discover Bulgaria for great skiing, outdoor activities, culture and more. It’s a valid alternative to the usual Alpine hotspots such as Courcheval or Gstaad. Bulgaria is not yet known as a ski destination, but actually offers a great skiing experience, especially for beginners. Of course, it’s also a fraction of the price of the Alps. Paola Recommends: With its six en-suite bedrooms, Villa Gella is ideal for family holidays and winter sports lovers. The indoor pool, Jacuzzi and steam room are perfect for après-ski relaxation. Included are daily maid service and a personal chef, offering a superior experience and attentive service. Found in the Yucatán Peninsula of southeastern Mexico, Riviera Maya separates the Gulf of Mexico and Caribbean Sea. A popular tourist destination, the area boosts picturesque beaches, national parks and Mayan cultural sites. 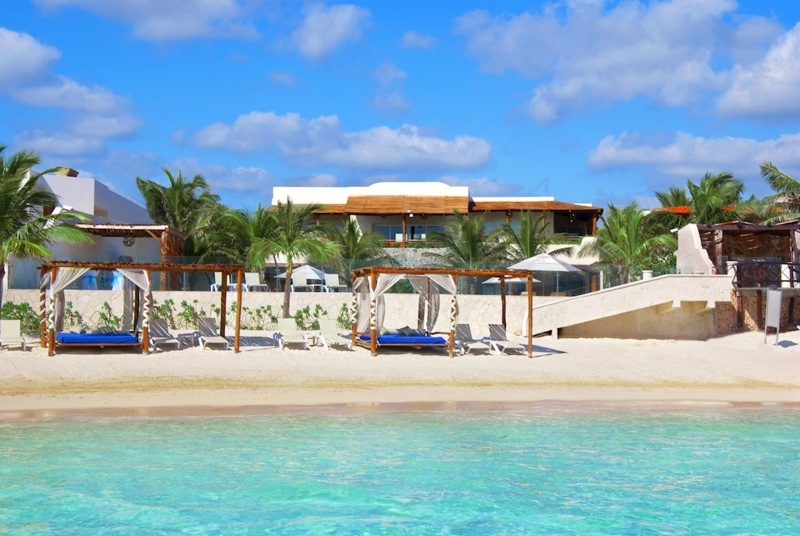 Paola Says: The Riviera Maya is often synonymous with cheap packaged holidays. Fall and winter are the best seasons to visit Mexico. It’s a great spot for winter sun and those wishing to spend Christmas or New Year’s having a beach barbecue. Paola Recommends: Known simply as Beachfront Luxury Villa, this Cancun property promises a new level of private luxury with full time butler experience, unrivaled services and amenities. The six-bedroom villa is decorated in contemporary style, using locally sourced materials, and features a brilliant outdoor entertaining area, complete with a heated pool. At US$10,000 per day, it doesn’t come cheap.